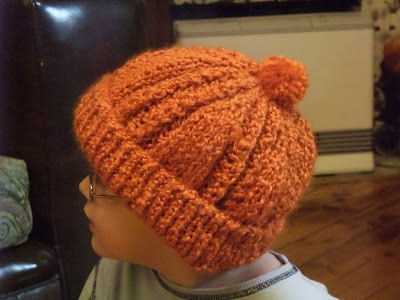 Charlie's hat was finished today - it took me a couple of days to get around to making the pom pom that was demanded. The pattern is an Australian one, much to my surprise, and you can find it here. I added hat elastic to keep the band's tension (if I make it again, I will use smaller needles for the band, at least for that kind of wool) and after this shot was taken, I also stitched the band permanently up to stop it falling down over his eyes. Charlie: You know that fire at Grandma's house? ... Did you get killed in that? Me: Do I look like I got killed? Actually, I speculate that he doesn't know that killed = dead. Killed is what happens to people in Star Wars. Dead is something that happens to him if he gets hit by a train. Is it so hard to design a decent park?